Reaching women with help and hope. For more than 30 years, PRC of Metro Richmond has served women and their partners facing an unexpected pregnancy. Annually, they serve over 1,100 people in 75 zip codes in and around Richmond, Virginia by offering resources and practical assistance for life-affirming choices. The people PRC of Metro Richmond serves each year are just a fraction of those in need of help—and hope—in the midst of an unplanned pregnancy. 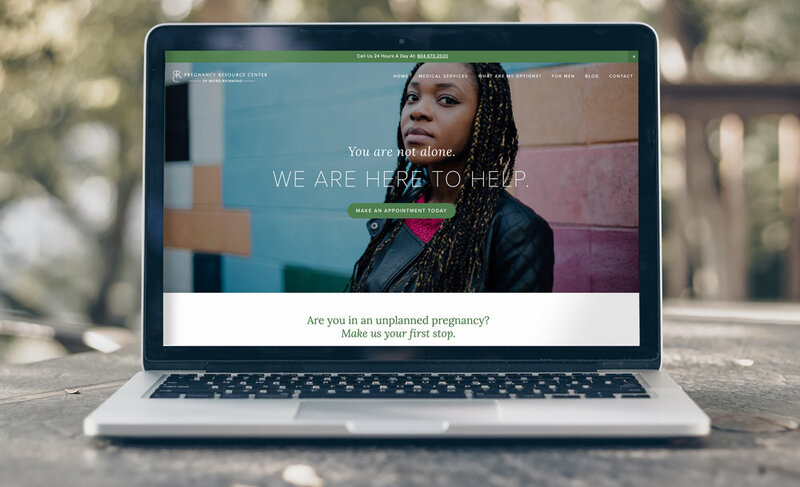 The organization wanted to focus on reaching more women at risk for abortion with information about the services they provide. We developed a robust plan that targeted PRC of Metro Richmond's key audience demographic, utilizing a variety of methods to reach her during two separate ad campaigns. Since our partnership with PRC of Metro Richmond began in November 2016, they've seen a 54% increase in calls and a 13% increase in visits. We can help your ministry too. "Kumveka's marketing and creative design expertise measurably expanded our reach. Thanks to their team, we are able to invest our marketing dollars in a strategy that produces increasing return."